1978 1979 1980 1981 Camaro rims were unique as the aluminum rims came out, be it the turbine rims or the 5 spoke N-90 wheels. There were also the 14 inch rally rims as well as the 15 inch steel rims with beauty rings. 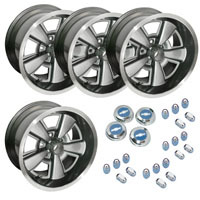 We have all of the parts you need to get your wheels back in order. 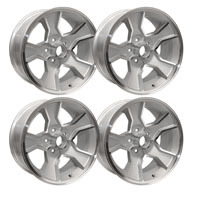 From new rims stock and aftermarket, to center caps and lug nuts which are GM authorized reproductions look to Fbodywarehouse for your wheel needs! 1978 - 1979 Camaro Z28 Turbine YJ8 Aluminum Rim Center Caps + Lug Nuts PACKAGE! 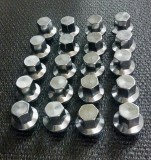 1970 - 1981 Camaro Z28 Center Caps for 5 Spoke Steel Wheels.